It would appear, when researching Frank’s life, he was bought up by his mother and grandmother and had no siblings. Julia, his grandmother, was born in 1842 and his mother Charlotte Jane, nee Sutton, in 1866. Both were from Kingston Langley, near Chippenham, Wiltshire. His mother married Henry William Slade in Southampton in 1890. Henry was living with his in law’s Edward and Julia Sutton in 1891 when they were the publicans of the Antelope Hotel, St. Mary’s Road, Southampton. There is no occupation given for Henry but he may have been working in the hotel. However his wife Charlotte is not on the census return. The census confirms that Henry, aka Harry. was born in 1862, Stroud, Gloucestershire. He passed away in 1901, Southampton. Charlotte remarried, according to Frank’s Memorial Register, to a W. B. Joyce, but a marriage couldn’t be found for her. Kelly’s Directory for 1898 shows a Julia Sutton as Owner/Publican of The Mariner Arms, Platform Town Quay, Southampton. She was still there in the 1901 census confirming she was an employer and the Public House was her home. On the night of the census her widowed daughter, Charlotte Slade, and grandson, Frank Slade, were living there. Her two domestic servants were living on the premises along with many visitors/guests, whose main occupations were on ships/liners. By 1907 Julia no longer owned the Mariners Arms. She, with her daughter and grandson, were living at 115 Alma Road, Southampton in 1911. Julia stated she was living on Private Means; Charlotte didn’t appear to have an income whilst Frank was an Apprentice to an Auctioneer and Estate Agent. The Antelope Hotel was owned by Frank’s grandparents Edward and Julia. This old Cooper’s Brewery hotel stood on the corner of St Mary’s Road and Bellevue Street. The hotel, mainly through Daniel Day, was associated with the Antelope Cricket Ground on the opposite side of St Mary’s Road and it was in the hotel that the Hampshire County Cricket Club was formed in 1863. The hotel closed in April 1931 and the premises were later concurrently occupied by a radio shop, a hairdresser, and a grocer. Today the site is occupied by Charlotte Place, the car park and the traffic system near the offices of British Gas. Education and Employment: Frank was born on 3rd January 1894 in Southampton. When he enrolled at Taunton’s, he was living with his grandmother and mother (both widowed). Frank left school to be an apprentice at an auctioneer and estate agent firm. Life during the war: Frank lived on Alma Road in Southampton. He served with the 11th Battalion of the Hampshire Regiment. In late 1917 he was treated in the hospital on the Common. In early 1918 he was back in France, and had been badly wounded before being captured by the enemy – the school journal reported his being a prisoner of war in June 1918, but he had died some months earlier near the Somme. 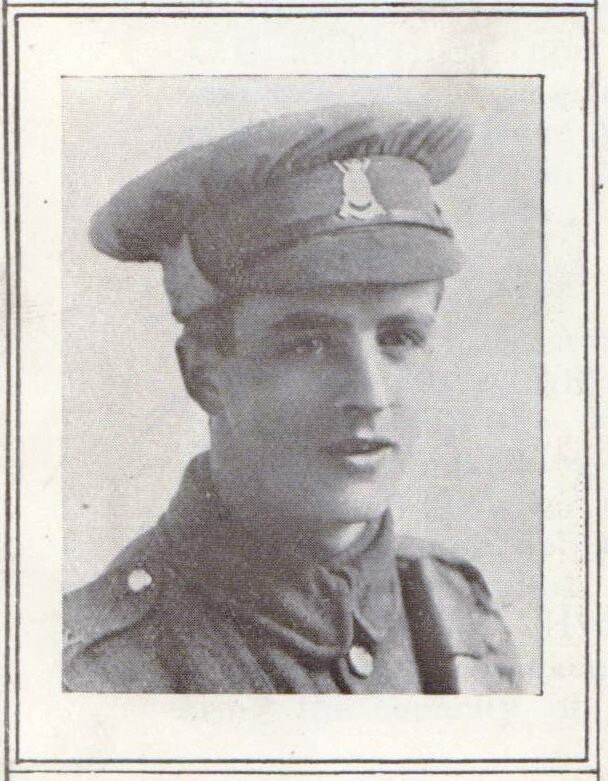 Frank died on 22nd March 1918 aged 22 years. Personal Effects – as next of kin, his mother Charlotte Jane Joyce received back dated payments due to her son plus his War Gratuity amounting to £29 2s 11d which was paid to her on 11th November 1919. This amount included £17 War Gratuity. The document states his death was “on or since” 22nd March 1918.